As an empty nest writer with a busy schedule, I get distracted. Recently, as I raced toward a deadline and was spending way too much time at my desk, the newest addition to my family - a little Yorkie mix, hopped into my lap in search of some loving. I pulled myself out of writing a kiss scene, and gave Duke's ears a gentle rub, followed by a scratch, followed by some tail wagging pats. 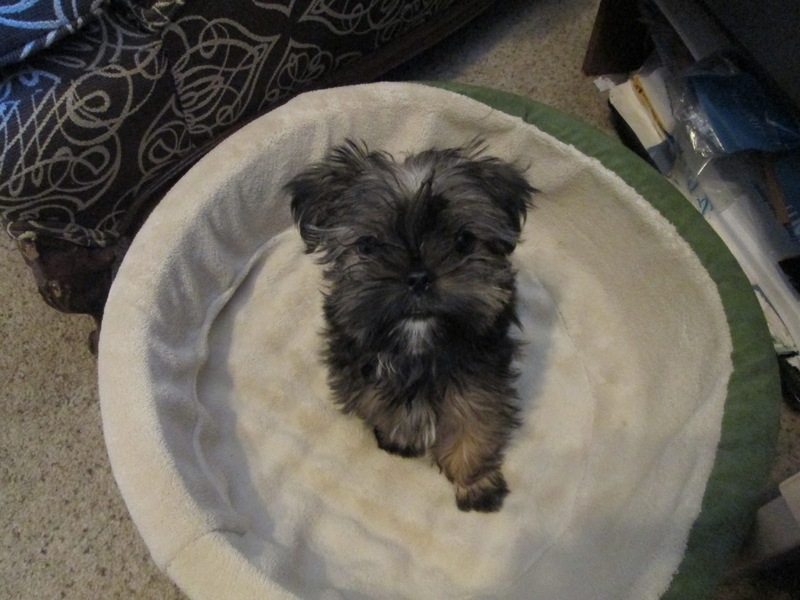 And then I realized that underneath his beautiful puppy coat there were mats. And (I'm even embarrassed to write this) there were mats beneath his elbows and at the base of his chest. Had this happened overnight? What kind of dog mommy was I? Lucky for Duke (and Mr. Curtis), I'm no stranger to the demands of a busy life. I know that you can't keep all the balls juggling in the air for long periods of time. I raised three kids. Sometimes they looked like they had the most put-together, upstanding parents. And every once in awhile, they'd show up at school with a wrinkled shirt, a wild loop to their ponytail, or a homework folder that hadn't been touched the night before. Life is tricky that way (as in no one is perfect and if you think you are, life is bound to find a way to give you a jolt of reality). So I did what every character in a book does when confronted with conflict. I heaved a weary sigh! And then I scrolled through my contact list and found the dog groomer's number. 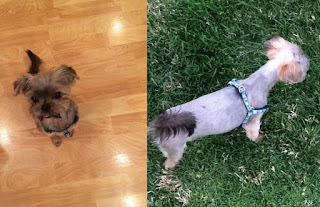 Now I have a dog who looks like he's battled through a case of lice (come on, I bet you always think others think the worst of you when you're down too?). So I'm giving life its due. I'm taking the lemons I let rot on the vine and making some fine lemonade by using my lapse as a blog post. This is what Duke looks like today. Have you ever gone through a period where all the eggs you were juggling fell to the ground? How did you deal with it? Melinda Curtis is an award-winning, USA Today bestseller who writes sweet romantic comedy. 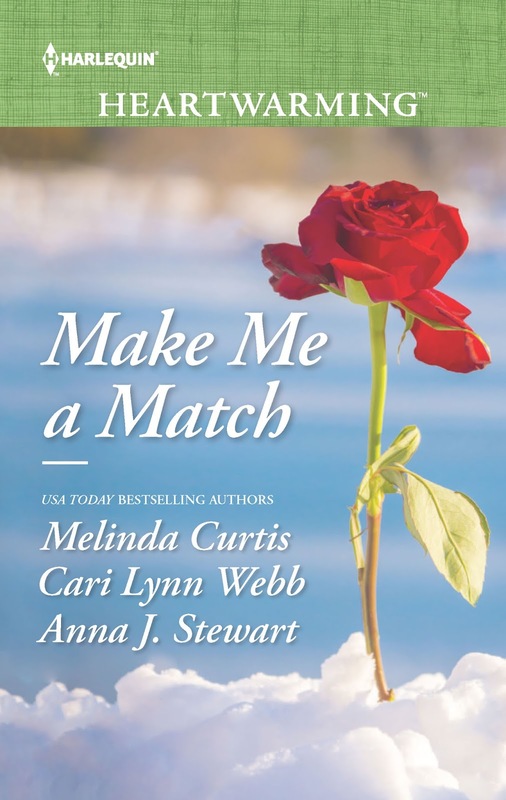 Her latest release, Make Me a Match, is available in most larger Walmarts during the month of March or online everywhere. It's the story of three childhood friends who've grown up together, played hockey together, and failed at life together. Now these guys are planning to get things back on track by...being matchmakers in Alaska? If you enjoy hearing about sweet romance and new reads in the genre, please sign up for the Sweet Romance Reads newsletter in the sidebar. You can also sign up for Melinda's newsletter and receive free reads here. Though I own cats, I still love dogs. My son and his wife have a Yorkie. Such a sweetie! I just try to take time to slow down, but I know how hard that can be! Holy Hannah, some of my eggs are always falling to the ground! I need to learn to stop saying "yes" to everybody (my family, for sure) and become more protective of my time. I always start out the year with great goals and I never get to finish them all because I'm too busy helping everyone else. Mel, I can understand. Oh yes I can. I'm trying to juggle so many...eggs. Once in a while, they break. I feel bad and try to fix the broken one!